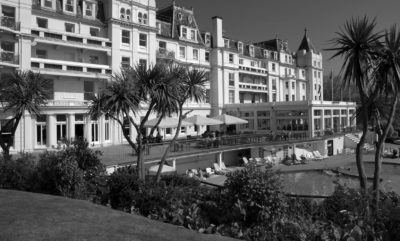 The 2018 Annual Members’ South West Lunch took place at The Grand Hotel, Torquay on Friday 5 October. Aside from member networking and the opportunity to host colleagues and clients, the Lunch included the presentation of the CECA (South West) Training Awards – celebrating the remarkable achievements of the young women and men who are our rising stars. The guest speaker was Miles Hilton-Barber, blind adventurer and motivational speaker – you can read more about Miles on his website. 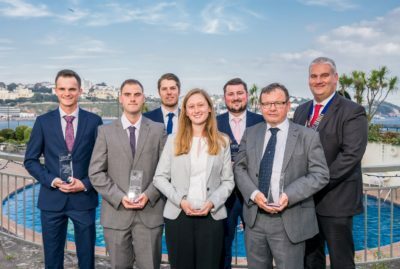 Above: the CECA South West 2018 Award winners. From L to R: Jordan Anderson (Knights Brown); Ashley English (South West Highways); Michael Wilcox (Dyer & Butler and the University of Plymouth); Ana Johnson Portales (Skanska and the University of Bath); Liam Derrick (Alun Griffiths); Phil Howard (BAM Ritchies); and CECA South West Chairman Jon Benton (I&H Brown).